The Ramada Limited Savannah Airport hotel is situated off I-95 - Exit 102 @ Georgia State Highway 80 offering travelers a halfway stopping point between Florida and the Northeast. Hunter Army Air Field, Gulfstream Aerospace and JCB Equipment are all a short drive from the hotels front door. The contemporary and comfortable accommodations of the Ramada Limited Savannah Airport hotel await your arrival in scenic Savannah, GA. Local attractions include Savannah Historic District, Savannah College of Art &amp Design, Tybee Island Beaches and Mighty 8th Air Force Museum. Centrally located, we are close to where you need to be. Wormsloe State Historic Park, Ogeechee River activities, Savannah Mall and St. Joseph Candler Memorial Hospital are just minutes from the hotel. Whether visiting Historical sites, shopping for antiques or experiencing one of the many outdoor recreational areas, a pleasant night's stay will round out the enjoyment of a day well spent. The Ramada Limited Savannah Airport offers all guests complimentary High Speed Wireless Internet, Deluxe Continental Breakfast and USA Today. Every room has an iron and ironing board, coffeemaker, hairdryer and 25&quot TV with premium cable making you feel at home the minute you arrive. 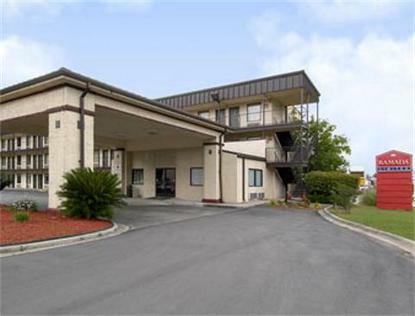 Centrally located on I-95 corridor between the Northeast and Florida, the Ramada Limited Savannah Airport hotel located in Pooler/Savannah, Georgia is your perfect lodging choice for a wonderful trip to the Low Country/Savannah Historic Region.